We are delighted to present the fantastic Reflex Nutrition Vegan Protein 2.1kg. With so many on offer recently, it is great to have a brand you can recognise. The Reflex Nutrition Vegan Protein 2.1kg is certainly that and will be a superb acquisition. 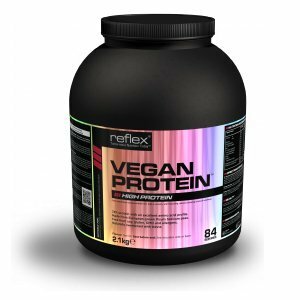 For this price, the Reflex Nutrition Vegan Protein 2.1kg comes widely respected and is always a popular choice for lots of people. Reflex Nutrition have added some great touches and this means good value. A Vegan Protein that is Soy Free, Gluten Free and GM free. Suitable for Vegans. Vegan Protein contains BCAA's with more arginine and more glutamine for the athlete. Free from artificial sweeteners and colourings. The protein in Vegan Protein is made from a patented manufacturing process. Vegan Protein contains added friendly bacteria & digestive enzymes We provide FREE delivery to the U.K Mainland ONLY this does not include the Scottish Highlands, Isles off the coast, Ireland and Northern Ireland.